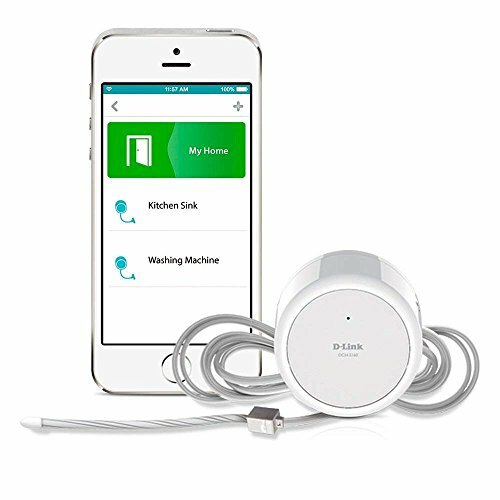 The DCH-S160/RE (Certified Refurbished) mydlink is a smart wireless water sensor that helps keep your home safe. It will help you detect water damage before serious problems occur. Get alerted when water is detected in basements, sinks, near a water heater, dishwashers, in a bathroom or anywhere there might be moisture. The DCH-S160 also works with the DCH-S220 mydlink Wi-Fi Siren to increase alarm volume and range. Get push notifications with the mydlink Home app on your smartphone so you always know what is going on at home from anywhere.